Established in the greater Cape Town area for almost 50 years, trading as Maynard Burgoyne. Since 1992, we have been a significant part of the Homenet Group. In 2008, we moved to the most significant Inetrnational Group in the world and began trading, proudly, as Harcourts. Born in the Free State. Moved to Namibia in 1976. Matriculated at Namaqualand High School in 1980. Married in 1984. Relocated to Edgemead in 1988 Worked in Finance until 2015. Have 2 children. Both attended Edgemead Primary. My daughter Matriculated in 2016 at Edgemead HIgh School and my son is starting high school. Retrenched due to centralization Doing my internship at Harcourts Maynard Burgoyne Edgemead. 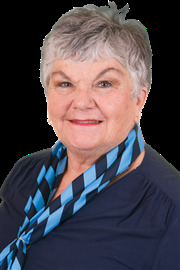 Karen has been an estate agent, active in the Edgemead area & surrounds, for the past 24 years, working for Maynard Burgoyne (now Harcourts Maynard Burgoyne) She has achieved her NQF4 examination and holds a Certificate of Professional Recognition from the Estate Agents Affairs Board. She has lived in Edgemead since 1973, with her husband Hubert, and all three of her children were educated at the local schools, where she was a member of the Schools' Governing Bodies. Her children and grandchildren all live in the Edgemead area. Jumped ship from Leapfrog Property Group, Edgemead and joined Harcourts Edgemead on 1 April 2015 as Reception/Admin person. Neat as a Pin - Just Move in!